Most people agree there is a separate, secret dimension for lost socks. Those of us who perform the task of washing dirty laundry frequently experience the phenomena of pulling only one-half of a pair of socks from the washing machine while feeling sure we placed the entire pair inside prior to turning on the wash cycle. I save those single socks hoping for the mysterious return of their mates, which rarely happens. 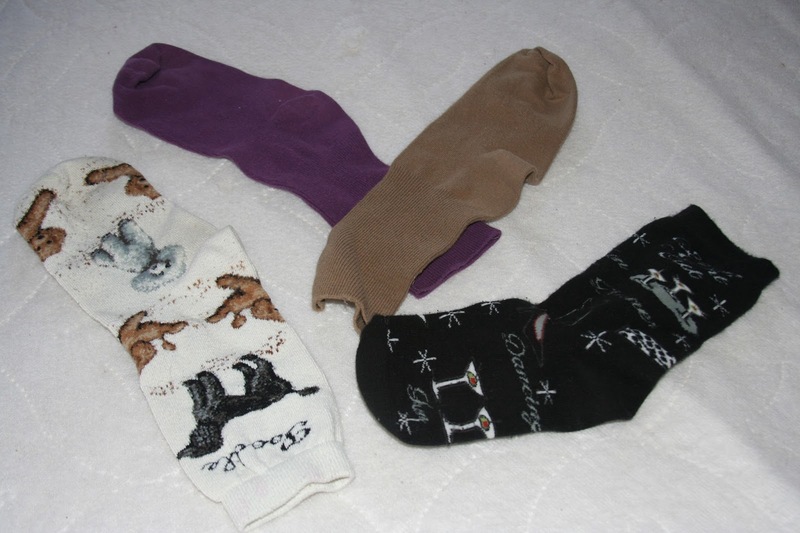 Instead, the survivors of the pairs end up in the ragbag while I ponder a galaxy filled with floating lost socks. Something similar happens with me when it comes to mushroom brushes. While not a “shopper” per se, there are two types of stores I gravitate to when forced to stroll through a mall, those with books and those with kitchen gadgets. Rarely do I leave either without a purchase. Since my small kitchen allows minimal space for storing gadgets, I generally seek out small items such as basting brushes, tiny whisks, grapefruit spoons and mushroom brushes, which I know I purchased on at least three occasions. Then comes the puzzle. Each of the three mushroom brushes disappeared somewhere between the shop and home. I swear it. Each time I would arrive at home, unload my bags from shopping and find the mushroom brush missing. After the third mushroom brush disappeared, I regrettably gave up the idea of owning one and now resort to using a damp paper towel, which is the method of choice per most Internet instruction sites. I could not tell you if a cleaning brush works better since I have yet to carry one to the dimension that houses my kitchen. However you clean one, the mushroom offers a wealth of health benefits along with being extremely low in calories, with only 15 in a one-cup serving. In addition, mushrooms are low in Saturated Fat and Sodium, contain minimal Cholesterol and are a good source of Dietary Fiber, Protein, Vitamin C, Folate, Iron, Zinc and Manganese. They are also a great source of Vitamin D, Thiamin, Riboflavin, Niacin, Vitamin B6, Pantothenic Acid, Phosphorus, Potassium, Copper and Selenium. You can read more about mushrooms and other vegetables at nutritiondata.self.com. There are many ways to eat mushrooms either raw or cooked. I love adding them them to salads and soups or finding ways to create sauces for serving over noodles or rice. Below is my singles’ version of a sauce based on one found in the “Harvest 2013” issue of the Penzeys Spices catalogue. 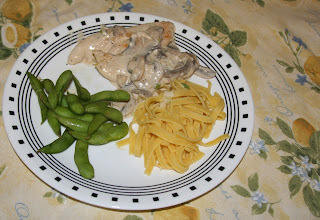 Sabrina Powers of New Hampshire submitted the original recipe along with her story about a headless chicken. In addition to being a great place to shop for spices, the Penzeys Spices catalogue now features great stories and recipes. Go to www.penzeys.com for more information. 2. Heat butter and oil in small skillet over medium-high heat. 4. Remove chicken strips from skillet and tent with foil to keep warm. 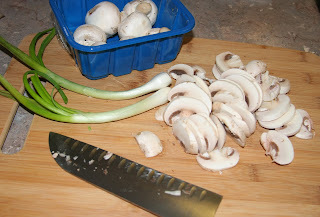 Add mushrooms and scallions to skillet. Cook until tender and all moisture has evaporated, about 10 minutes. 5. Whisk cheese and milk together before adding to the mushrooms and scallions in the skillet. Bring to a boil, stirring often until the sauce becomes bubbly and thick. 6. Add the chicken strips to the sauce and heat through. Serve over the noodles along side a green vegetable such as broccoli or green beans.